Unofficial group for MLP:Fighting is Magic. @pony @ceruleanspark a better comparison might be that Hasbro's marketing team gets paid to reuse the same tired vectors for things, so why shouldn't a fan artist be compensated? of course, I think what happened on FB is likely just a lazy mistake like I said. I don't think the artist deserves compensation in this case unless they continue to infringe. @ceruleanspark At least you can report people for being d***s.
@ceruleanspark [Le]ague of [Le]gends is a party game. @ceruleanspark @nerthos ah I see. This makes sense. @minti i can appreciate it. At least it shows they're working on it. @noir I saw that announcement. All the leak does is further justify their reasoning for keeping tight-knit and closed up, and limiting the number of folks working on the game. By the time that game comes out, a game they've said will only have season one characters, season 3 will probably be over. 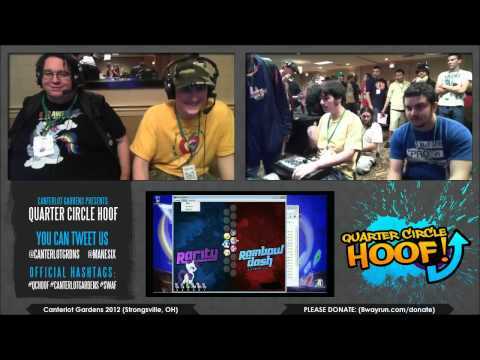 !mane6's new combo video... @_@ Want. !mane6 that Applejack splash art is papayasing amazing.